Getting a callback for an acting gig is awesome, isn’t it?! You have completed your initial audition for a project and have been asked by the casting director to come back. Congratulations - you are now one step closer to booking the job, being on set, and making money!! Oh, the wonderful life of an actor! Well, hold up, you haven’t booked the job just yet, but you’ll have a better chance of booking it if you follow these tips! Do What You Did the First Time! When an actor receives a callback, it means that your performance in the initial audition was spot-on. The casting director almost certainly liked your choices, your look, and also your attitude! How you conduct yourself at a callback is fairly simple, but some actors make it much more complicated than it needs to be! In order to have a successful callback, it is important that you do what you did at your first audition! Don’t change your choices in the scene – and certainly do not do something totally different, unless you are specifically directed to do so! 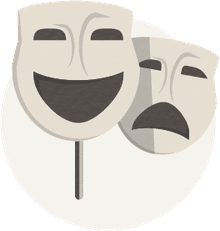 A callback is not (necessarily) meant to be an opportunity for an actor to show everyone in the room the entirety of his or her emotional range or artistic capability. You’ve been called back because the casting director believes that you are right for the role, based on what you showed them at your original audition. Show them (and everyone is who is in the room during the callback) that you are definitely the right actor for the role! Speaking of other people in the room - who are they? And why are they in there?! At a callback, don’t get thrown off if you walk into the audition room and are greeted by many men and women. Depending on the project that you’re auditioning for, there are likely to be people there who are involved with the upcoming production, including directors and producers. Do not let this intimidate you. They are there because (just like the casting director) they’re looking for the right actor for the job: YOU! Directors, producers, and other individuals who are in the audition room aren’t the only ones who can be a distraction to you. You must also not allow yourself to become distracted or intimidated by any other actors in the waiting room. The audition waiting room is awkward enough, and it can be somewhat nerve-racking knowing that you’ve been selected out of thousands of actors to be at a callback. And seated right next to you is someone who looks exactly like you! Always stay focused, be you, and do the best job that you can do. Embrace your individuality! When you receive a callback, you’ve done your job as an actor. You left a great impression with casting and have been brought back to audition again. There are many things that are out of your control, but you’ve come this far, so enjoy it! You’re happy, the casting director is happy, and your agent is happy. Now all that’s left to do is go and give a great performance, and hopefully book the job!